Ryan Gosling and Claire Foy walk the red carpet together at the premiere of their new movie First Man on Thursday (October 4) at the National Air and Space Museum in Washington, D.C. The co-stars were joined at the event by director Damien Chazelle and other cast members including Patrick Fugit, Olivia Hamilton, Shea Whigham, Lukas Haas, and Brian d’Arcy James. 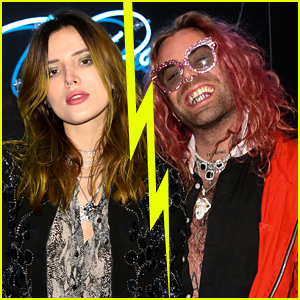 After the event, the stars headed to an after party where they enjoyed themed Casamigos cocktails, like the First Man Margarita and Casa Luna! FYI: Claire is wearing an Oscar de la Renta dress. Olivia is wearing a Missoni gown. Ryan Gosling is bringing First Man to the 2018 Toronto International Film Festival. The 37-year-old actor hit the red carpet at the premiere on Monday (September 10) at The Elgin in Toronto, Canada. 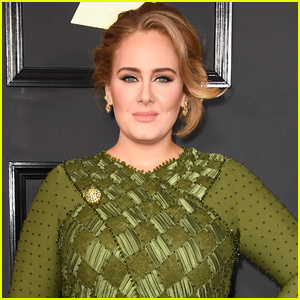 He was also joined by his co-stars Claire Foy, Brian d’Arcy James, Patrick Fugit, Olivia Hamilton, Kyle Chandler, Pablo Schreiber as well as director Damien Chazelle. First Man chronicles Neil Armstrong’s real life journey to become the first man on the moon. Make sure to check out the trailer! The film hits theaters on October 12th. FYI: Claire is wearing Miu Miu. 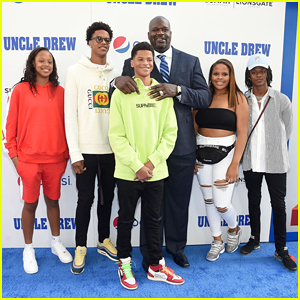 Shaquille O’Neal is all smiles as he hits the blue carpet with his five kids – Shareef, Me’arah, Shaqir, Amirah and Taahirah O’Neal – at the premiere of his latest film Uncle Drew held on Tuesday (June 26) in New York City. The 46-year-old retired basketball player was joined at the event by his co-stars Kyrie Irving, Lil Rel Howery, J.B. Smoove, Chris Webber, Nate Robinson, Lisa Leslie, Erica Ash, Reggie Miller and Aaron Gordon. Also in attendance to show their support was Brian d’Arcy James and Rick Gonzalez. Uncle Drew hits theaters on Friday (June 29) – Watch the trailer below! 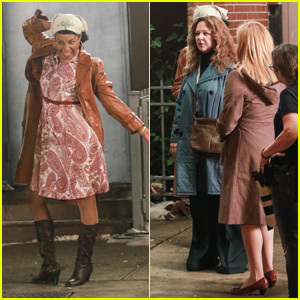 Tiffany Haddish, Melissa McCarthy & Elisabeth Moss Film 'The Kitchen' in New York! Tiffany Haddish, Melissa McCarthy and Elisabeth Moss are hard at work on the set of their new movie, The Kitchen! The three stars were all spotted filming scenes in character on Wednesday (June 13) in New York City. Brian d’Arcy James was also spotted filming on the set. The upcoming Andrea Berloff-directed crime drama centers around the wives of New York gangsters in Hell’s Kitchen in the 1970s who continue to operate their husbands’ rackets after they’re locked up in prison.